The Tylers Team Silver bundle is perfect for a team of 4 off to NSEA , Team Quest or would make a great brand ambassadors' starter pack..
You can mix and match colours and sizes .The saddlepads come in a good range of colours sizes full ,cob and pony .We do have dressage shape but the colours are limited. Please contact us if you would like ladies sizes. 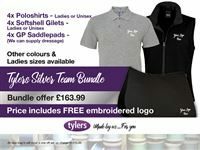 The price includes an embroidery logo left chest on the garments and the near side on the saddlepads. 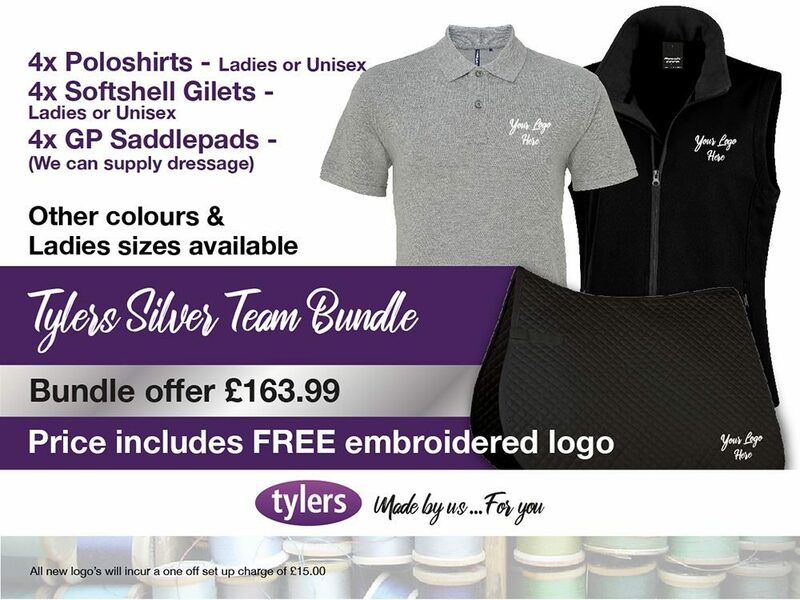 Please email the logo you require to sophie@tylershorseandcountry.co.uk along with any queries.